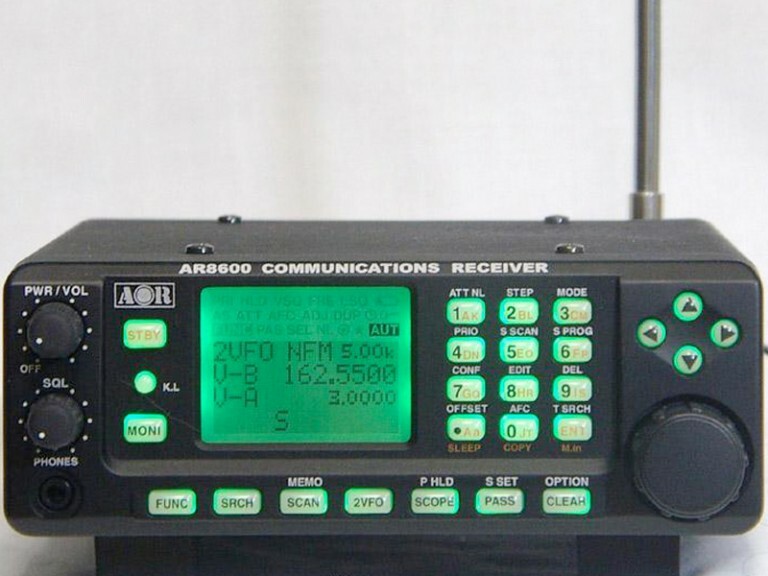 The AR8200 represented a beacon when first released building on the successful recipe of the AR8000 and technology developed for the award winning AR5000 base receiver. Technology marched forward with the original AR8200 and AR8200 Series 2 however the AR8200Mk3 keeps the innovative concept and forward thinking of AOR alive and bright. It has not been easy improving on what many thought to be the ultimate, however the AR8200Mk3 provide even more with nothing taken away. The list of features is vast, large multi-section backlit LCD, side mounted navigation keys and rotary tuning control, alpha-numeric text comments. The all important 8.33 kHz airband channel step is correctly implemented (eight-and-one-third, 33, 66, 00). Channel steps are provided in a menu and may be programmed. Step may be programmed by the operator in any receive mode using multiples of 50 Hz in any mode (i.e. 5 kHz, 12.5 kHz or even 1.25 kHz). 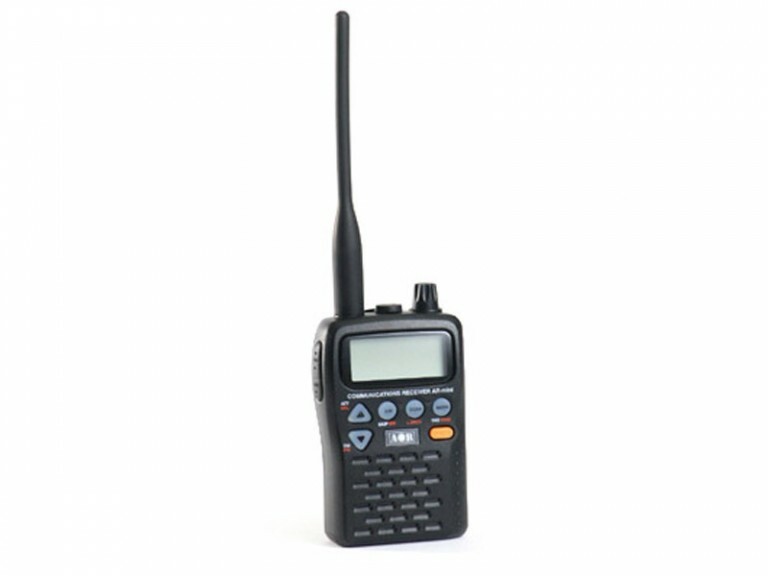 Extensive step-adjust and frequency offset facilities are also provided (as per AR5000) to ensure tracking of the most obscure band plans, AFC (Automatic Frequency Control) is included for spot on tuning ensuring that nothing is missed. A wide frequency coverage is available from 530 kHz to 2040 MHz (no gaps) with actual minimum acceptable frequency of 100 kHz. The RF front-end is preselected around VHF to ensure the highest levels of adjacent channel rejection with software spurii cancellation. 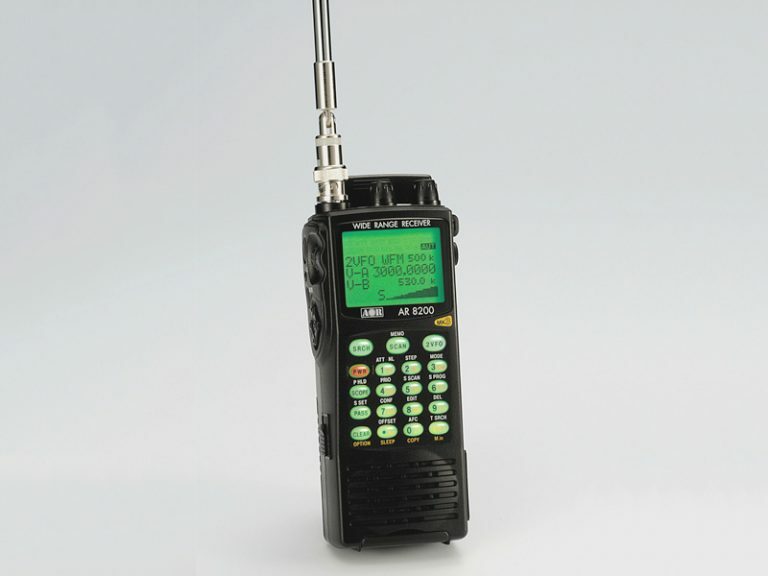 The short wave bands are converted directly to an IF of 45 MHz to remove compromise and the AR8200 SERIES-2 is supplied with a detachable plug in medium wave bar aerial for localised monitoring with a negative feedback circuit employed. 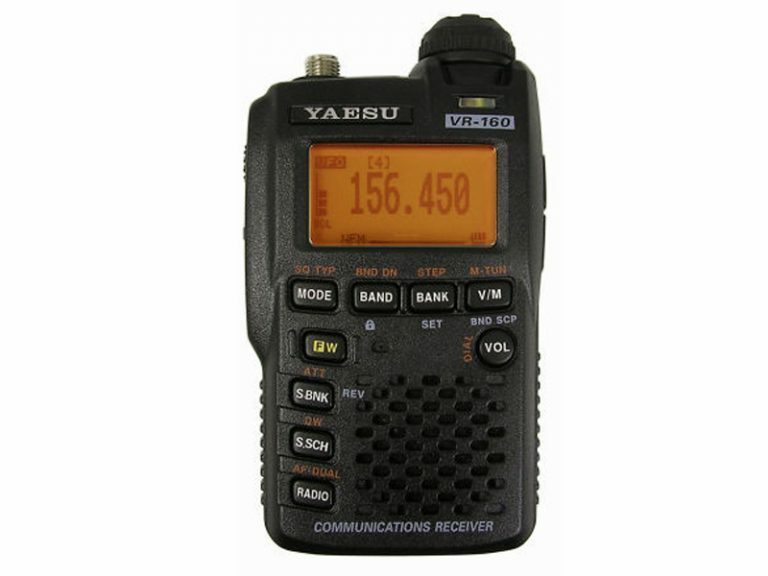 All mode receive: WFM, NFM, SFM (Super Narrow FM), WAM, AM, NAM (Wide, standard, Narrow AM), USB, LSB & CW. 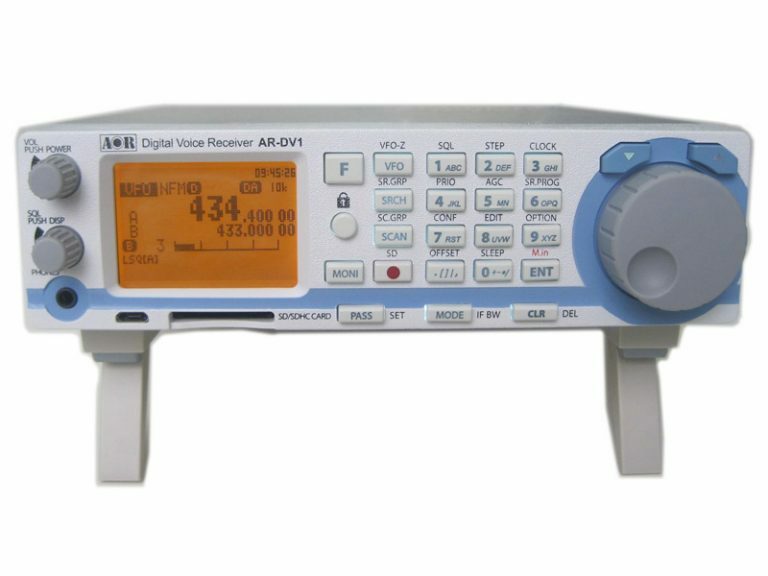 A 3.0 kHz SSB filter is employed with true carrier re-insertion resulting in non-offset frequency readout for easy tuning of SSB transmissions. An attenuator and noise blanker are also featured. A meaningful band plan is factory programmed specific to market area, this ensures that the AR8200 SERIES-2 automatically selects the correct receive mode and tuning step (although mode and tuning step may be manually selected at any time), the band plan may be edited via computer control. The side keypad provides four arrow keys presented as a single ‘rocker’ resulting in more natural and intuitive navigation through the on-screen menus. Tuning is accomplished via a variety of controls including a side panel indented main tuning dial, arrow keys and keypad. A larger than average back lit LCD with contrast control provides operational data with the ability to add 12 character text comments to each memory channel, memory bank and search bank, a text search feature simplifies identification and recall of stored information. Many text prompts aid operation making programming of search banks etc straight forward. 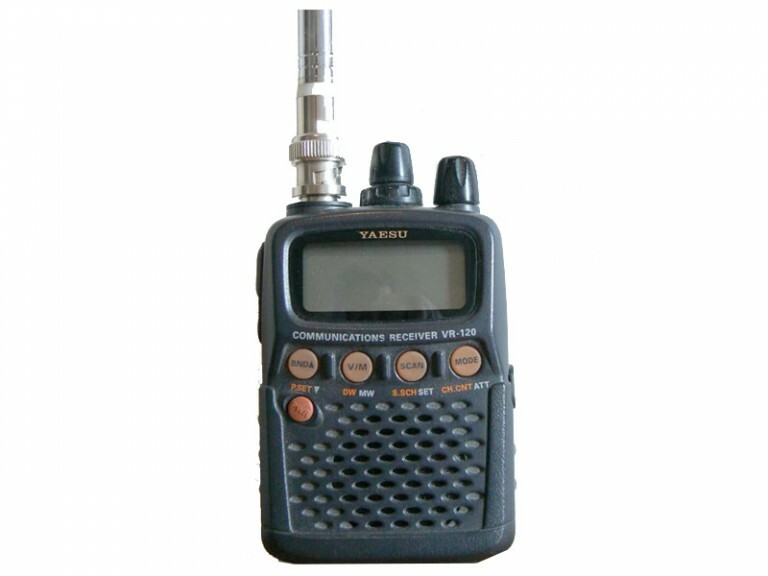 Two frequencies may be displayed along with operating legends and high resolution signal meter and multi-function band scope. 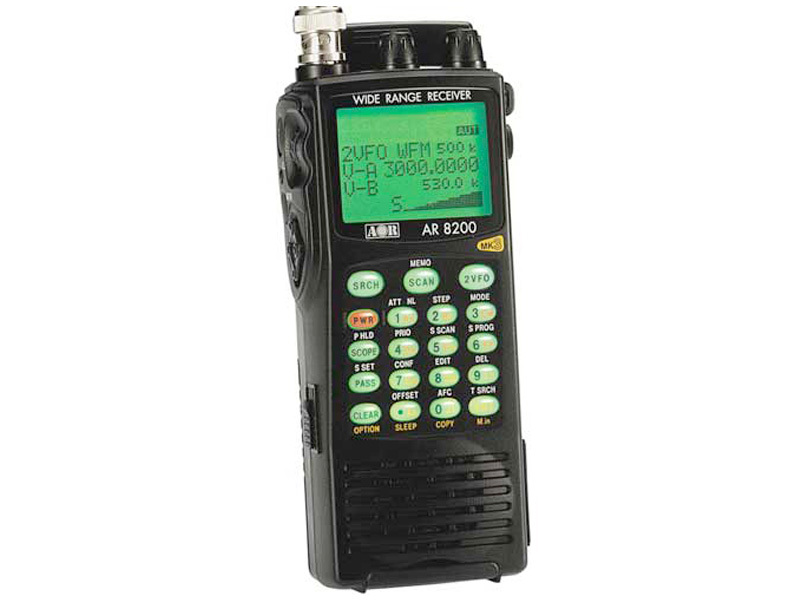 The band scope provides adjustable span width from 10 MHz to 100 kHz, you can move the marker, operate peak hold, transfer the marker frequency to VFO and save trace for later recall. The stylish black cabinet has a quality feel with an excellent rear-illuminated keypad with a hard wearing finish. Flexible dynamic memory bank layout is provided. Memory banks may be varied in size between 10 and 90 channels each i.e. bank ‘A’ 80 channels / bank ‘a’ 20 channels with bank ‘B’ 40 channels / bank ‘b’ 60 channels etc). 1,000 memories, 20 memory banks, 40 search banks, select scan list, priority and lockout facilities are included. It is also possible to edit and delete individual memories, swap, copy, move and delete whole banks Including dumping all data.